You smell so good’ is possible one of the best compliments one receives. Arguably, the most personal and intimate of beauty products, the choice of perfume reveals volumes about its wearer. You smell so good’ is possible one of the best compliments one receives. Arguably, the most personal and intimate of beauty products, the choice of perfume reveals volumes about its wearer. There are fragrances that celebrate empowerment and there are perfumes that envelope you in floral accords. And then sometimes you come across fragrances that are supposed to be your own interpretations, or they become your signature. When Grace Kelly became Her Serene Highness Princess Grace of Monaco in 1956, walking down the aisle of Saint Nicholas Cathedral, she wore Creed Fleurissimo. The perfume from the family-owned fragrance house, was commissioned specially by Prince Rainier for his bride. The fragrance and perfume market growth is influenced by unpredictable changing fashion trends. 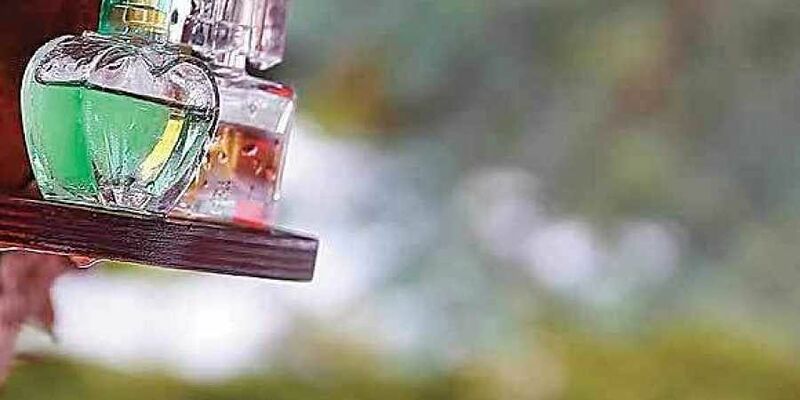 The global fragrances and perfumes market was valued at $52.7 billion in 2018, and is expected to be worth $72.3 billion by 2024. Every season brings with it its own set of fragrances. And with spring knocking at the doors, there is a freshness wafting in the air. From magical blend of cardamom, green pear, sandalwood, cedar, musk, lemon and vanilla to a captivating scent with notes of Chinese tea, plum and cherry blossoms that will linger on your skin for hours—perfume houses are set to spellbind us this season. Of all our senses, smell is possibly the most powerful. One sniff can evoke and unwrap feelings and memories lying buried for years. The industry has come out with an entire range of perfumes for spring—the usual Mandarin, jasmine, wild rose, sandalwood, musk, of course, rule the roost. But fragrances such as violet, gardenia, and white musk are also there announcing to the world that spring is here. Chanel’s renowned Chance Chanel has notes of jasmine and rose with a softer imagination this spring. From Hermes’ refreshing Charming Twilly and Marks & Spencer’s delightful Seasalt & Freesia, to the latest classic Flower scent from Kenzo and of course, Dolce’s intoxicating The Only One 2, spring fragrances are here to fill up our senses. Paris will always be the capital of the fragrance world. Newer names are cropping up—California with its botanical ingredients such as sage, pines; Scandinavia bottling concoctions in labs; and Latin America with boldly-shaped and coloured bottles; a broader selection than ever before is making its way to the market. Increasingly, people are hesitant to put their skin into contact with synthetic products. Thus many perfume houses are prioritising the use of natural ingredients. MyPerfume, launched in 2016, lets the user create their very own fragrance, making the product truly personalised and individualistic. Anahita Wassan, the co-founder behind the brand, came up with the idea while working for her family’s aerosol filling business. She soon started creating perfumes for her friends and started customising the bottles with their initials, making it an instant hit. “When you enter a room, you want to look different. You wouldn’t like to be wearing the same dress as someone else at the same party, so why wear the same fragrance? Why not wear a different fragrance and make that your own signature brand?” she asks.